This recipe actually started out as simple Rosemary Bread, but a search through my spice rack and pantry resulted in no rosemary. Fortuitously, my in-laws recently traveled to France, and brought me back a bag of Herbes de Provence. Since it seemed to contain rosemary (with some other herbs, lavender perhaps? Thyme? Savory? It was impossible to read the French chicken scratch on the herb vendor’s handmade label), I thought it would make a perfect substitution in this aromatic bread recipe. McCormick’s helpfully lists its blend’s ingredients as “SPICES (INCLUDING ROSEMARY, MARJORAM, THYME, AND SAVORY)”. Penzey’s blend is rosemary, cracked fennel, thyme, savory, basil, tarragon, dill weed, Turkish oregano, lavender, chervil and marjoram. And I have no clue what was in the bag my father-in-law bought me. Frankly, I’m surprised he was able to make it past security with it – it was a zip-top bag with a bunch of dried green herbs and a scribbled note in French stapled to the top. French security must be très laxiste. At any rate, this is a nice little recipe – a perfect bread for just snacking out of hand, and would probably be fantastic lightly toasted and served as canapé bread. I hope you enjoy it! Dissolve the sugar in warm water in a medium bowl, and mix in the yeast. 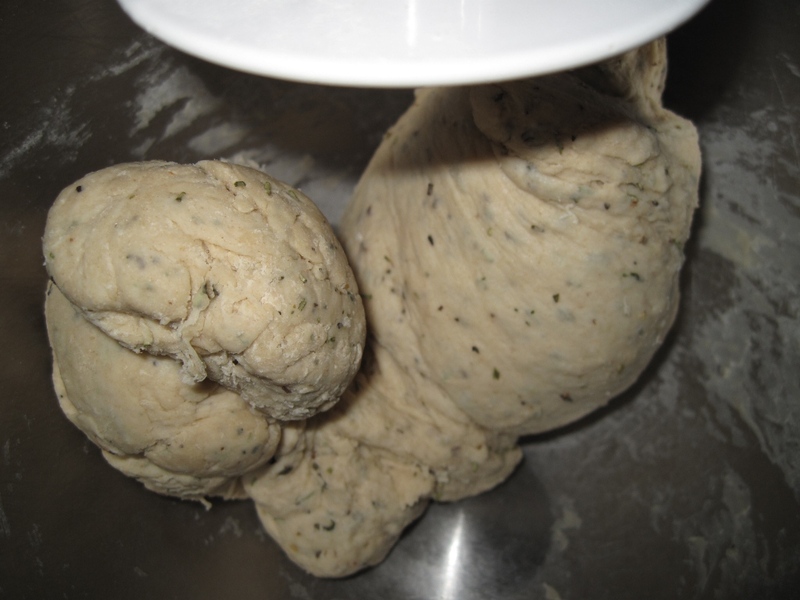 When yeast is bubbly, mix in salt, butter, 1 tablespoon Herbes de Provence, and Italian seasoning. Mix in 2 cups flour. Gradually add remaining flour to form a workable dough, and knead 10 to 12 minutes. 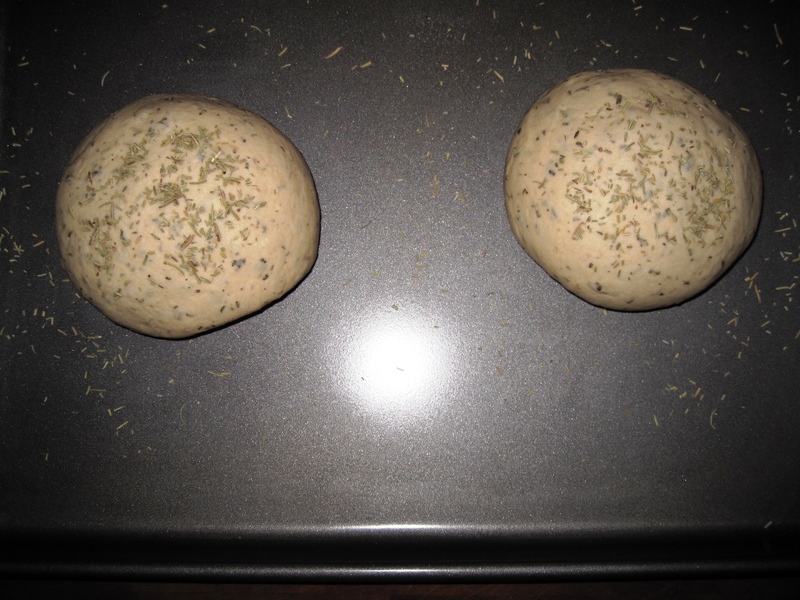 Shape dough into 2 round loaves, and place on the baking sheet. Sprinkle with remaining herbs. Brush loaves with egg. Bake 15 to 20 minutes in the preheated oven, or until golden brown. Quite good overall. 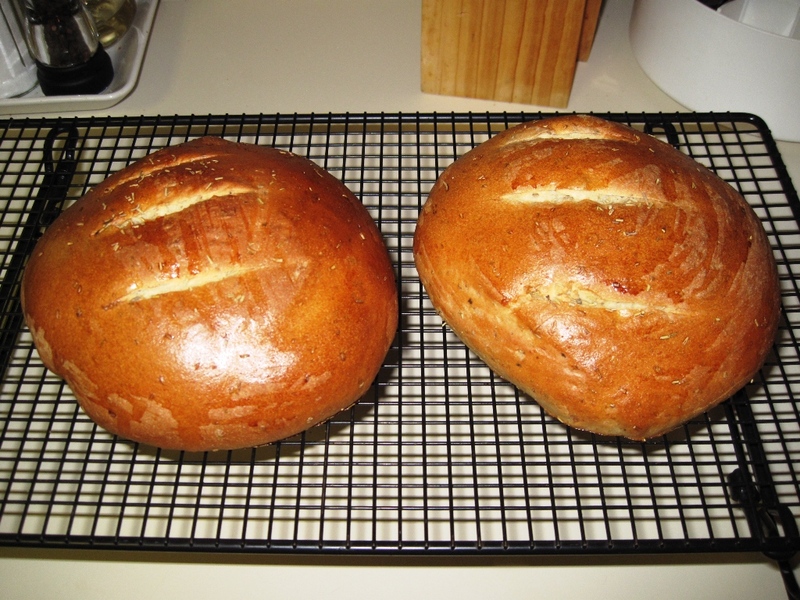 Easy to assemble, and doing free-form loaves is nice for a change. It was also nice to have such a short baking time. This recipe would likely lend itself to the addition of any herb/spice combination you could imagine. Really, the possibilities are endless. It’s a nice basic recipe. The taste: fantastic. Wonderfully aromatic, with a moist and chewy crumb. 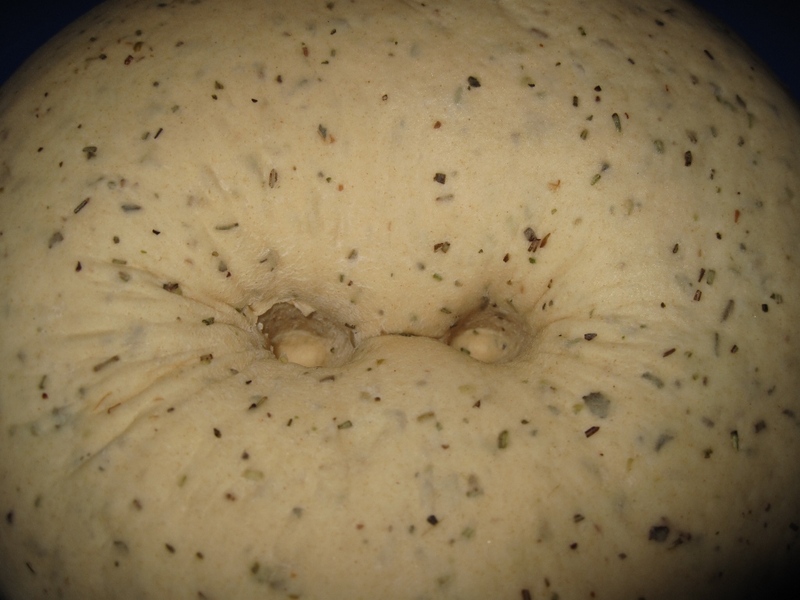 The herbs infuse every bite without overpowering the bread itself. I believe the bread would make a wonderful accompaniment to some sundried tomato-olive tapenade. In fact, I know it does. Because I made some tapenade and tried it out! Tapenade recipe coming tomorrow. Previous Previous post: Last Chance to take the Wendalicious Wine Survey!